I am back to sorting through my new purchases! I've whittled it down to under ten, which is an achievement in of itself! I hate having untried polishes lurking around. It makes me feel like more of a hoarder. The first one off the list is Undercover Mermaid from Pretty Serious. This is my first polish from them, and I have to admit I am impressed. The formula was thin and smooth, and dried like a champ. I do wish the flakies had been a little more up-front, but its a small thing. The color is amazing. Initially, I thought this was going to be a proper gray. 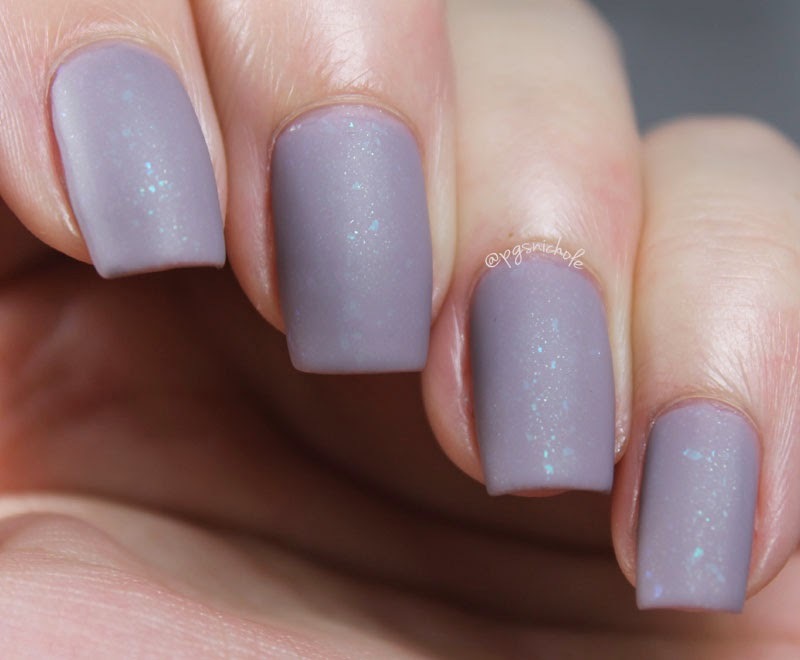 I googled swatches, and the overwhelming majority showed a regular, slightly cool, pale gray. Hooray! I am all over gray lately. I can't not buy them (you'll see what I mean soon enough). When this arrived...I was a little miffed. I admit. But then I put it on. It is the perfect purpley gray. Like the sky during a storm, or a bruise. I love it. LOVE. I could take or leave the flakies, honestly. Then I added a matte coat. (NYC matte) Heavy breathing intensifies. I feel like this is the perfect blend between a palate cleanser, a show-stopper, and a SFW neutral. 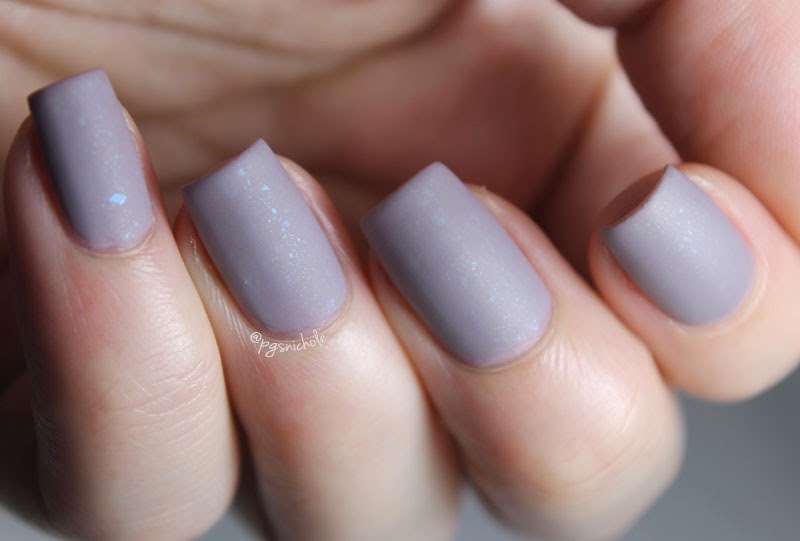 You just can't go wrong with this color, shiny or matte. What do you think? Are you in love with this color like I am? 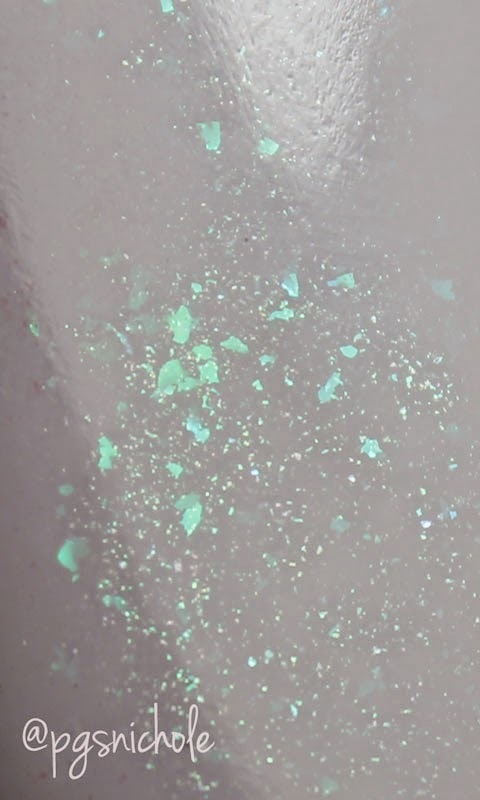 I have two more Pretty Serious polishes to try...but I admit that I do not want to take this one off just yet. It is just lovely. Also, please to direct me to some yarn this color? I lurve it with a matte top coat, that's gorgeous! I need to clean off my nail polish table, it has too many polishes on it, and it makes me feel like a hoarder. Blergh!